tipping. 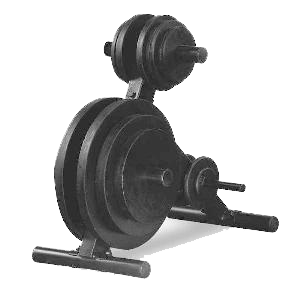 Six storage posts suspend your weight plates for fast and easy storage. 1000 lbs. of weight capacity.